Arsenal have been linked with a shock move for holding midfielder Wilfried Ndidi. The Leicester City man arrived at his current club in January 2017 and has started to show the form that made him one of Europe's highly rated midfielders. Ndidi, signed by Leicester City as a replacement for N'Golo Kante, struggled in his first six months at Claude Puel's side and has in more recent times impressed and caught the eye of Arsenal's scouting team. With the Gunners ready to splash £25 million to secure the defensive midfielder on a long-term contract this summer, Ndidi would be an ideal alternative to the struggling Granit Xhaka, who has failed to impress since his arrival from Borussia Monchengladbach. Ndidi is being tracked by both Arsenal and Liverpool according to The Sun and has played 35 games for Leicester City so far this season. 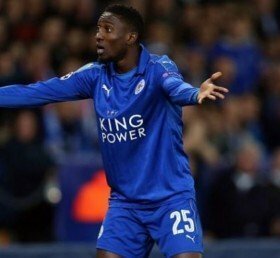 Ndidi has just over two years remaining on his contract with the Foxes and looks set to make a move elsewhere amidst interest from several of Europe's top clubs.